As nationwide protests and acts of repression by the Venezuelan government escalate, the Organization of American States (OAS) is calling upon the Venezuelan government to hold free and fair elections. As current Venezuelan President Nicolas Maduro keeps refusing to hold elections and calls the opposition National Assembly and the OAS “threats to the sovereignty of Venezuela,” he has been increasingly using the riot police, the government’s secret police the Sebin, and the army to keep order. But law and order is becoming a questionable policy in Venezuela as the country is disintegrating into a failed nation state. The fact that there is no food on the store shelves, no basic medicines for the ordinary people in the hospitals, and the inflation rate being 1,000 percent, are just some of the indications that the country may be collapsing. One other thing that is not being mentioned is that many Venezuelans are trying to escape from the country. Those Venezuelans who have money and any connections are trying to get into the United States or Canada. However, these Venezuelans are starting to become few and far between as most of them have already emigrated and most of those Venezuelans who are left are poor to dirt poor. Without money and skills, how can they possibly escape? The only two ways are to neighboring countries or by boat. Many Venezuelans are fleeing either through Colombia or Brazil. In the case of Colombia, the country is trying to heal itself from a 50 year-old civil war and rebuild what was destroyed. The last thing Colombia needs now are Venezuelan refugees when so many Colombians are themselves displaced. Brazil is trying to over-come an economic recession that was the result of socialist policies put in by the previous Brazilian government. They do not know what to do with the Venezuelan refugees either. Those Venezuelans fleeing by boat try to get to a number of the Caribbean island like Curacao. The number of Venezuelans who fled their country last year alone amounted to 200,000, and more may try to flee. This has become an urgent problem for not only South America but the Caribbean. The sheer number of Venezuelans who have fled and are trying to flee will overwhelm the resources and services of each and every country in South America and the Caribbean. If things do not change for the better in Venezuela and soon, all of these countries will have to deal with the impact of Venezuelan refugees. 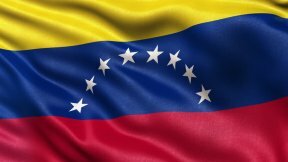 With a country so blessed with resources like oil, natural gas, gold and iron deposits, Venezuela should still remain a stable and fairly wealthy country. The problem is the revolutionary socialist government which is destroying the country. The continued collapse and ever growing number of Venezuelan refugees is and will become an ever bigger problem for the whole of the Americas.